Turn off the TV and all other screen media during mealtimes. 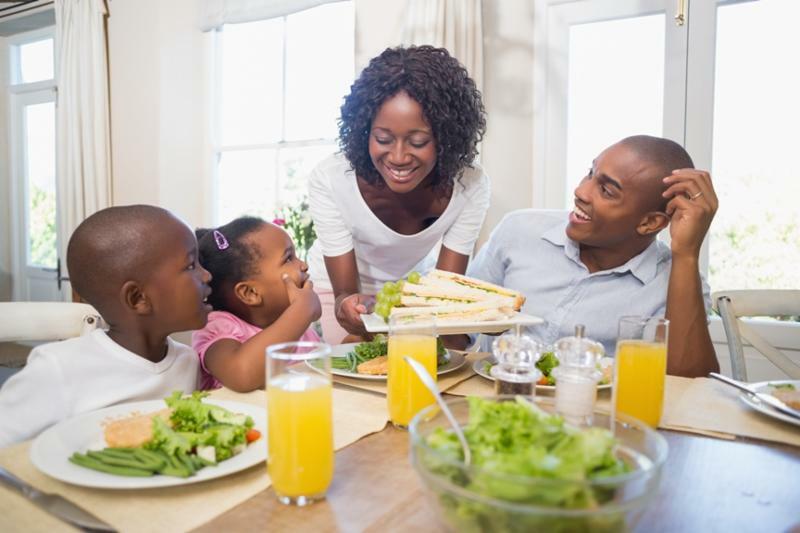 This can help your family avoid mindless eating, and better sense when you are satisfied. Use media that are commercial-free such as streaming TV services, recorded programs and ad-free games and apps. This will help lessen your children’s exposure to food advertisements, which often feature nutritionally poor options. Get outside and play! Whether in a backyard, playground or park, outdoor experiences can help increase your family’s physical activity and better balance sedentary indoor activities. To learn more about how media affect food and play choices see our Nutrition and Physical Activity page. A: Try enriching your child’s experience with any series he has by supplementing with a big bucket of non-directed or generic Legos. This way, he will still experience the same excitement around acquiring “new” Legos but will be able to build his own cities-tearing apart the cities that he’s built or modifying them to build new things-instead of continuing to build pre-determined structures and environments that represent themes and actions that may be inappropriate for his developmental stage. Read the full answer here. A flying carpet or a pig dance… It’s all connected! Christina Akre, a PhD candidate from Switzerland, shares a story about how she learned to better frame the balance between media and real-world activities after watching her kids blend both activities in their play. Take a look at the full post and follow along every month at Ask The Mediatrician. In this new study from the journal Appetite, researchers found that children would eat more after playing a game that promoted unhealthy snack foods. Read more. CMCH has received a grant from the Digital Trust Foundation to perform research on youth and online privacy. Read more!